In this tutorial we show how to control the starting position of an org chart by selecting an item in another list. This can be useful if you are working with a large organisation or if you regularly need to refer to specific starting points. To begin a SharePoint Org Chart web part has been configured using a list. 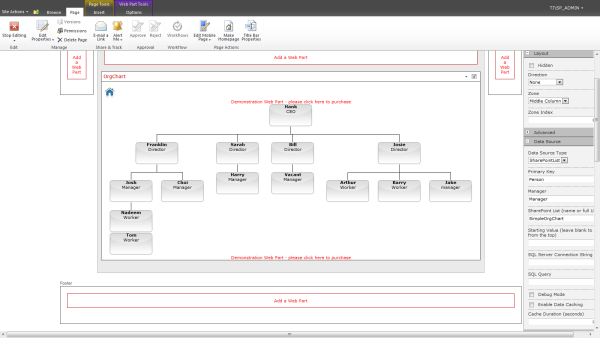 See Creating an Organisation Chart from a SharePoint List for details of how to do this. The list contains a Primary Key field named Person. The next step is to create a view on a list that restricts returned fields to those with a title of director only. 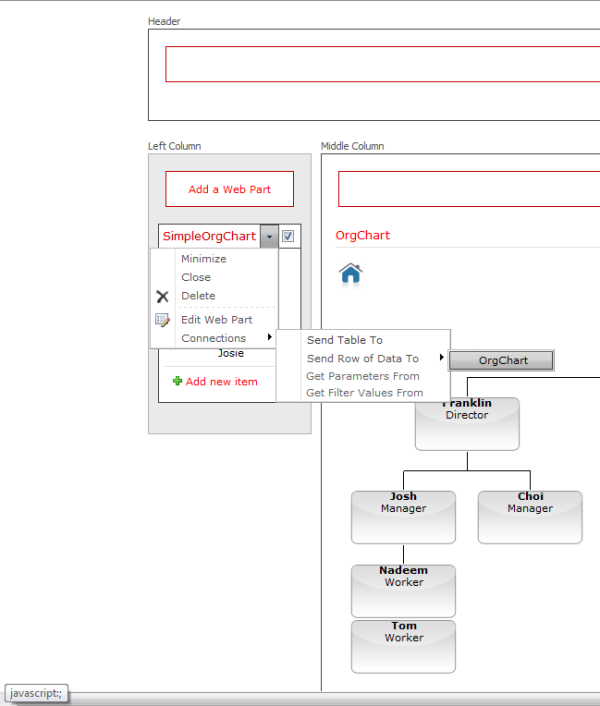 It is not a requirement that the filtering list be derived from the list used to draw the organisation chart however the list must contain a field that has the same name as the primary key. In this case Person. The view is added to the web part page as shown. 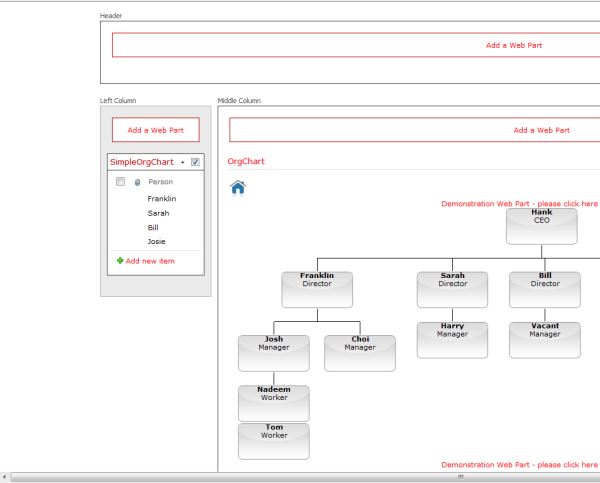 Now the organisation chart starting position can be controlled by selecting on of the items in the list as shown in the picture below.